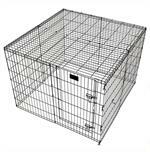 The PTPA Playpen is great for when your puppy has already been potty trained by the PTPA. 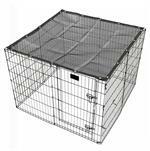 It easily attaches to your PTPA and gives your puppy/dog more space when you are unable to supervise them. Also includes a convenient door within one of the panels for easy access to the playpen area. Folds flat for convenient storage. No tools needed to set up. Prices are per playpen plus S&H. 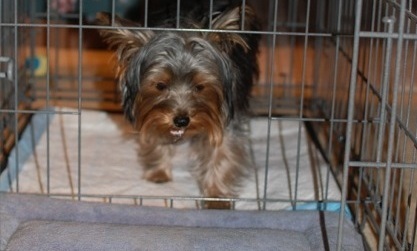 The PTPA Playpen Wire Top adds extra security to your dog's playpen. The PTPA Playpen is sold separately.